Although a four digit PIN can seem like a little detail in the scheme of things, it can play major role in your financial security. 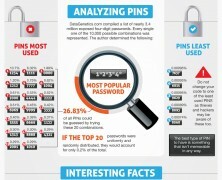 Why do we use PINs and could someone guess yours? Find the thurh.